Knowing the cost of long term care facilities and home health care in Portland is important as the cost of care is a key factor in determining how much long term care insurance to include in your financial plan. One of the most comprehensive studies on the cost of long term care is conducted annually by Genworth Financial. The Genworth Financial 2018 Cost of Care Survey encompasses long term care costs nationally and surveyed over 15,000 long term care providers in 440 regions. The cost of a Home Health Aide in the Portland, Oregon area is the highest in the state. And even though Portland’s nursing home rates are over $113,000 per year, they are the lowest in Oregon. The highest Nursing Home cost in Oregon is the Bend area which has an annual rate of $127,750. According to the U.S. Department of Health and Human Services, about 70 percent of people over age 65 will require some type of long-term care services during their lifetime. However, the need for long term care does not only impact seniors as 40 percent of people currently receiving long term care services are ages 18 to 64. Medicare does not cover most long term care services, because most long term care isn’t medical care. Most long term care services involve help with basic personal tasks of everyday life, known as activities of daily living (custodial care). 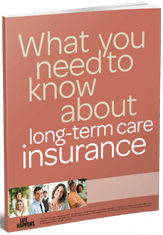 Get Oregon Long Term Care Insurance Quotes! ACACIA Insurance Services has specialized in long term care insurance since 1990 and represents all major insurance carriers. Our Long Term Care Insurance Specialists have the product knowledge and benefit design expertise to assist you in choosing a comprehensive long term care insurance solution for your individual or corporate needs. Price comparisons customized for your specific needs from top-rated LTC insurance carriers like Genworth Financial, John Hancock, Transamerica, Mutual of Omaha, MassMutual and others. Benefit comparisons of each company’s insurance policy. This side-by-side comparison will cover both the similarities and differences of each plan. Long term care insurance agents serving Portland, Oregon and the cities of Beaverton, Gresham and Hillsboro.